be available to view within four weeks of the session. You will send us your image selection to be applied to the pre-selected package and your order will be fulfilled at that time. 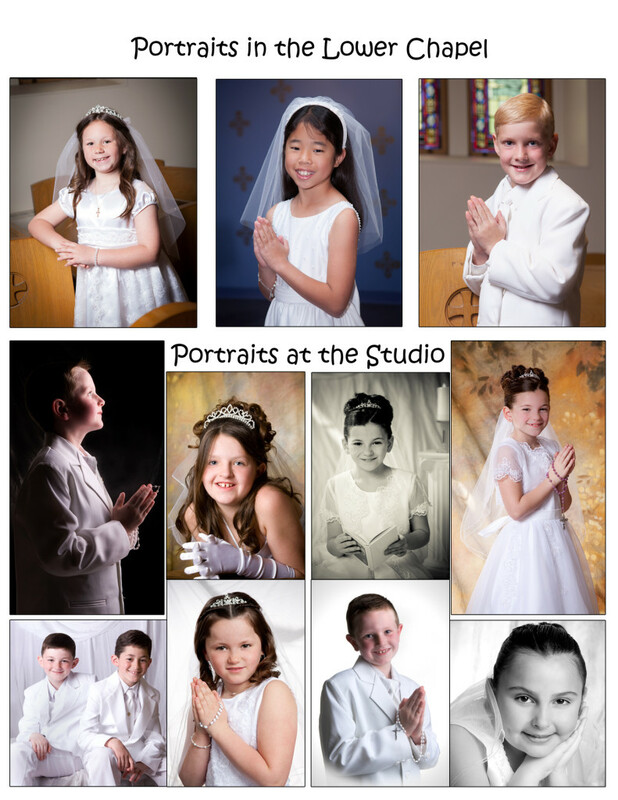 Reserve your church session by April 24th by phone or email indicating the child’s name, teacher’s name, and preferred time slot as well as your email address. outside of the specified dates will be charged at full price ($149). Our studio is located in Plymouth, MA. Call to reserve your appointment. 774-454-8379.